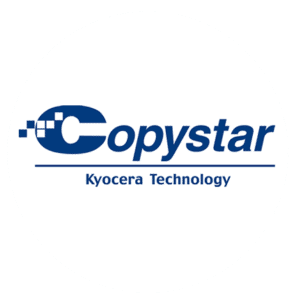 Copystar/Kyocera is a well-known, reputable brand that is up-to-date with modern technology and offers reliability with their products. These devices fall within your budget and are excellent at making the job easier. They include advanced printing software with their hardware for a complete printing solution that gets the responsibility out of your hands so you can focus on more important tasks. We are authorized to sell Copystar/Kyocera service provider which makes us a reliable source to for your Copystar Kyocera printer repair Atlanta offers. These printers are high-powered to create a complete workhorse system that accomplishes everything you need and more. We offer warranties and maintenance to service devices and ensure they’re 100% functional. Many individuals in the information technology sphere admire the reliability and simplicity of using Copystar/Kyocera printers and copiers. Our technicians receive qualification from the vendor before working on the equipment and then follow up with extended training and documents to make your equipment work as well as you expect it to. The Kyocera/Copystar printers are crafted extremely well, but since they’re still electronics, they can encounter hardware issues that require repair. We work with many other businesses across the country to offer upkeep programs and routine maintenance, so your equipment doesn’t perform below your expectations. We offer many different services plans to give you options. We provide service to your printers and copiers at our repair facilities or the job site if it’s more suitable for you. Our company is one of the most affordable options for repair in the market. It’s most definitely cheaper to service your Copystar/Kyocera printer than it is to purchase a new one outright. Our rates and costs of parts and the labor to repair your device are calculated on an individual basis. Contact us at 800-537-0669 or solutions@reach-technologies.com now for your Atlanta Copystar/Kyocera Printer Repair & Service.